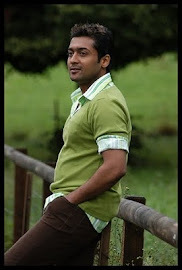 Surya has been surprising fans with new looks in all his films. Be it Ghajini's six pack abs or old-age getup in Vaaranam Aayiram. In fact, the audience have got used to it and they have started expecting something new from his films. To keep his fans happy, the actor is continuing the trend in his next film Maatraan. Earlier, there were reports that Surya would be seen in the role of Siamese twins. But KV Anand cleared the rumours that he is not playing the role of conjoined twins rather the actor will don five different getups. Now, it seems like that the director has increased that number to 20. Yes, the Rakta Charitra star will reportedly have 20 different looks in Maatraan. KV Anand is currently busy in Maatraan pre-production works and he is also busy consulting a few top class costume designers to give Surya a variety of looks in the film. He has roped in Kajal Aggarwal to pair the actor in the upcoming Tamil movie. He has retained his Ayan crew for this movie as well.